Is that a Possum near me? 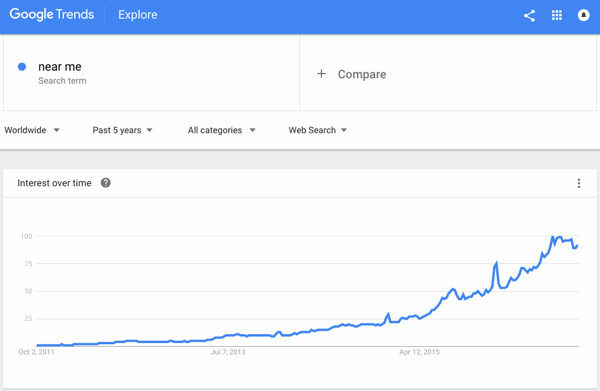 For a year and a half now, we SEOs have been talking to small business owners and each other about how Google’s handling near me searches better and better. Needless to say that mobile traffic is growing and location based ‘everything’ needs to be taken into account for every location dependent business. With the recent Google update that has been named Possum, it’s even more clear that Google is stepping up its game for local search results. In this article, I’ll try to give you some more insights on near me searches and what you should do to make sure your online presence is set up the right way. Make sure your customers find your shop! Optimize your site with our Local SEO plugin and show you opening hours, locations, map and much more! While testing this (please try it yourself as well), you’ll find that there is a ton of similar combinations of words people use to find these local businesses. And yes, you can optimize for these. We’re talking Name, Address, Phone number, in an easy to read and index format. Preferably, I’d say to add one page per location, if you have more than one. Add that exact address to your Google My Business page. If you have multiple locations but only need to promote one being the main headquarters, add multiple locations to one listing. If your business consists of a number of smaller businesses, feel free to add multiple My Business pages/accounts. Don’t forget to update your listing when you move! We made a plugin for that: Local SEO. It adds the appropriate LocalBusiness schema markup to the address listed on your website, making it easier for the larger search engines like Google and Bing to index these details. We can’t deny that positive reviews on Google, Yelp or similar websites influence the strength of your local ranking. It’s like the marketplace. If locals, users or simply any other people recommend a business, we’ll be more tempted to go there. Search engines obviously pick up on this. Don’t forget Facebook and Facebook reviews in this! People also use that a lot to search for local businesses. Google did an update we like to refer to as Possum, that targets local search rankings on the first of September of this year. Effects are still rolling in, and at the moment there seems to be only one real reference for the update, being Joy Hawkins’ article on Searchengineland. Businesses that fall outside of the physical city limits saw a huge spike in ranking. This is interesting, as that would mean that after the Possum update, Google is better at understanding service areas, right? That’s me thinking out loud, but it makes sense. After Possum, Google is filtering based on address and affiliation. Multiple addresses listed for your business? Google will most likely only show one. And I bet they try to make this the one that seems most likely for you. Search results vary more based on slight variations of the keyword searched. This is new to me, and I think that this is just Google trying to come up with the best result per query (as always). Google tends to focus a lot on ‘similar’ queries and less on order of words, in my opinion. 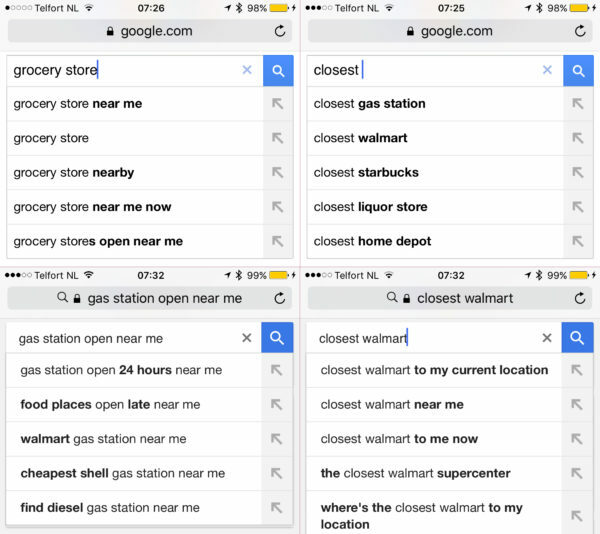 In near me searches, the addition of ‘near me’ is extra, and the main keyword is at the beginning of the query. I’m wondering where this is heading, and if it’s not just something that will get back to ‘normal’ at one point. The local filter seems to be running more independently from the organic filter. If Possum’s goal was about delivering better local results, this makes all the sense in the world. If this is correct, it definitely feels like Google is somehow ‘helping’ these smaller businesses compete with the giants. The location of the searcher plays a larger role in what results are served. This seems like the red line in the update. If you search for local results in another city that you are searching from, results will vary. Mobile traffic increases, geolocation is easily determined, why not act on that. All of the above means that if you have a local business, you really should make sure you have your local optimization in order. Focus less on trolling the search results to rank in a nearby city, as Google seems to understand that better now, and focus more on simply being the best result for your brand, business type or product. Yes. Near me suggestions are given for brands and products as well. Not new, but definitely an opportunity. Good luck optimizing! Ask Yoast: include taxonomies in XML sitemap?